It can be tough to find an affordable gym with childcare, especially when you have children but still want time for yourself and your health. 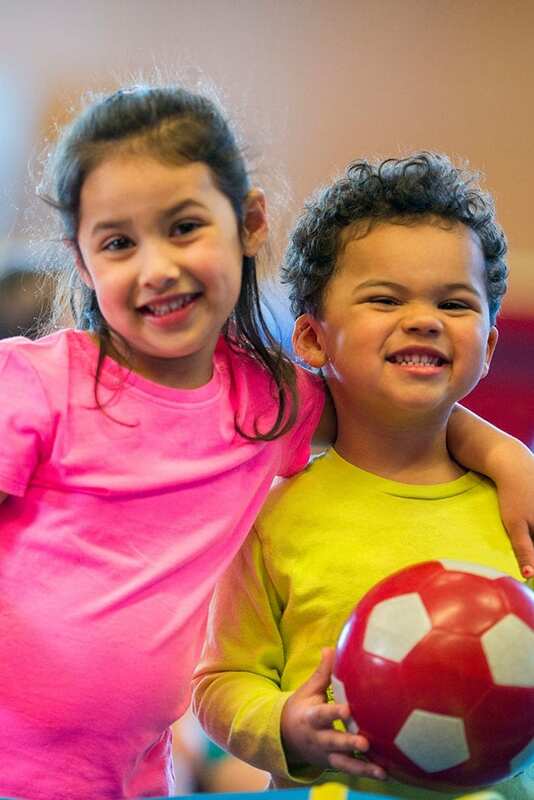 Our fitness centre in Cambridge offers on-site childcare for your kids, no matter how many you have. 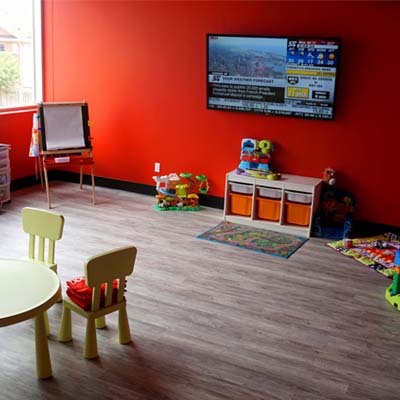 At an additional charge to your membership, your kids can have a blast in our dedicated childcare areas and enjoy Netflix, video games, toys, LEGO, crafts, a blackboard and more. Newborns to the age of 11 are welcome. 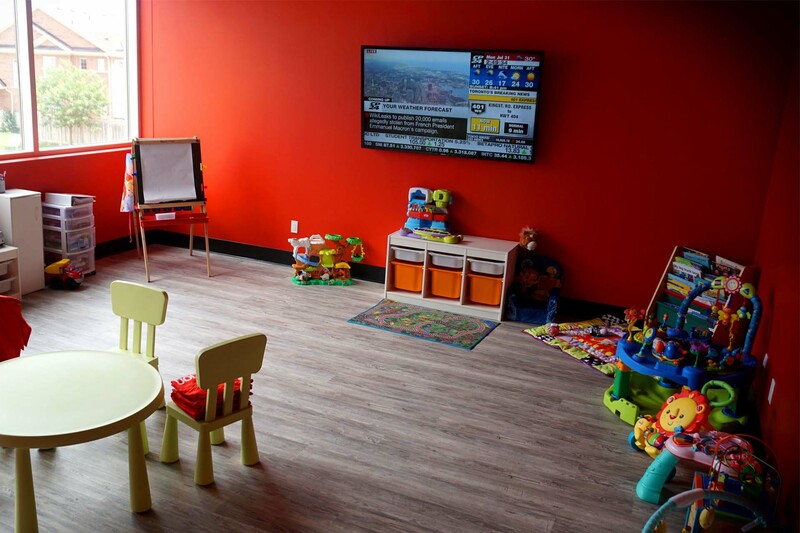 Come visit our on-site childcare with your children today!